Nation states vs. feral finance: the final battle? The financial crisis has broadened the scope of the economic policy debate. Pressed by their respective public opinions, world leaders need new ideas, fast. Despite this, one might be surprised by the way German Chancellor Angela Merkel and French president Nicholas Sarkozy dusted off the idea of a levy on financial transactions. Nowadays journalists are calling it Robin Hood tax, but in the 90s it was called Tobin tax and it was part of the intellectual arsenal of the anti-globalization movement. Even then, it was old news: Nobel laureate James Tobin first proposed it in 1972 (the original formulation was aimed at transactions of foreign currency). The idea is to tax sales of financial assets (equity and/or bonds and derivatives) with a low rate (0.01-0.05%). That’s meant to be too low to discourage the migration of capital from low-yield to structurally higher yield assets (such as from equity in a stagnating company to equity in a highly profitable one), because such a shift happens only once, and the cost of the levy is quickly offset by the increased yields: this way, the market maintains its efficiency property. But such rate is high enough to discourage speculation, that is based on buying and quickly reselling the same assets. The main practical problem with a Tobin tax is that, unless it is introduced everywhere at the same time, speculators can elude it simply moving to a financial market that does not levy it. In fact, some variants have been tried out in Sweden in the 80s. Results: low revenue, a sharp drop in transaction volume and eventual migration of many of the most active titles from the Stockolm to the London stock exchange. The tax was eventually abolished. So it does not work, right? Why bring it back into the debate? It’s not quite that simple. It (probably) does not work to stop speculation and generate fiscal revenue. But it could work well for a different goal: driving the more instability-generating fringes of the financial sector (the same ones that make money off that instability, as Nicholas Taleb reminds us) off the country. Their flight can be painful: these are wealthy taxpayers, who supposedly bring prosperity. But it also could be liberating, because the financial sector has become politically very powerful: this (1) makes it very difficult to make economic policy, because the super-rich veto any move that does not imply benefits for them (as Nobel laureate Joseph Stiglitz reminds us); (2) enhances economic inequality, exasperating the non-super-wealthy 99% of the population; and finally (3) it is not even clear that having these rich guys around does bring much prosperity. They sure don’t pay much taxes: Warren Buffett recently declared that his tax rate is lower than his cleaning lady’s. Are we looking at a cultural shift? Granted, the man in the street never trusted finance, and never understood it. But this is news to me: two world leaders of the standing of Merkel and Sarkozy aligning with people like tax expert and progressive blogger Richard Murphy – who applauded their joint proposal as “a welcome and overdue move […] if the feral banking economy is to be brought under control” (with the Guardian’s blessing). Why, in the 90s Attac’s militants campaigning for the Tobin tax during G8 meetings were treated as a disturbance by the police forces of those same states. I am tempted to read this story as the final battle between two different organizing principles, nation states and global finance. Am I seeing ghosts? 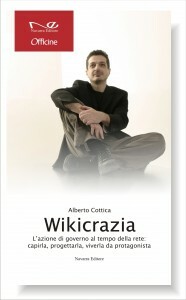 This entry was posted in complexity economics and tagged complexity economics, finance, finanza, James Tobin, Joseph Stiglitz, Merkel, nation states, Richard Murphy, Robin Hood tax, Sarkozy, stati nazionali, Warren Buffett on 29 August 2011 by Alberto.